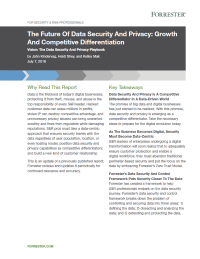 Forrester has created a framework to help S&R professionals embark on the data security journey. Download this report to learn more. As more and more businesses become digital, protecting and securing private data becomes the number one priority for keeping up with the digital revolution.